This is one of Alice Chung’s favourite FREE RADICAL SCAVENGERS. Here is a quick easy to understand explanation of Astaxanthin. If you have more questions feel free to call 1-866-499-9546. Alice is available Thursday – Saturday at this number. 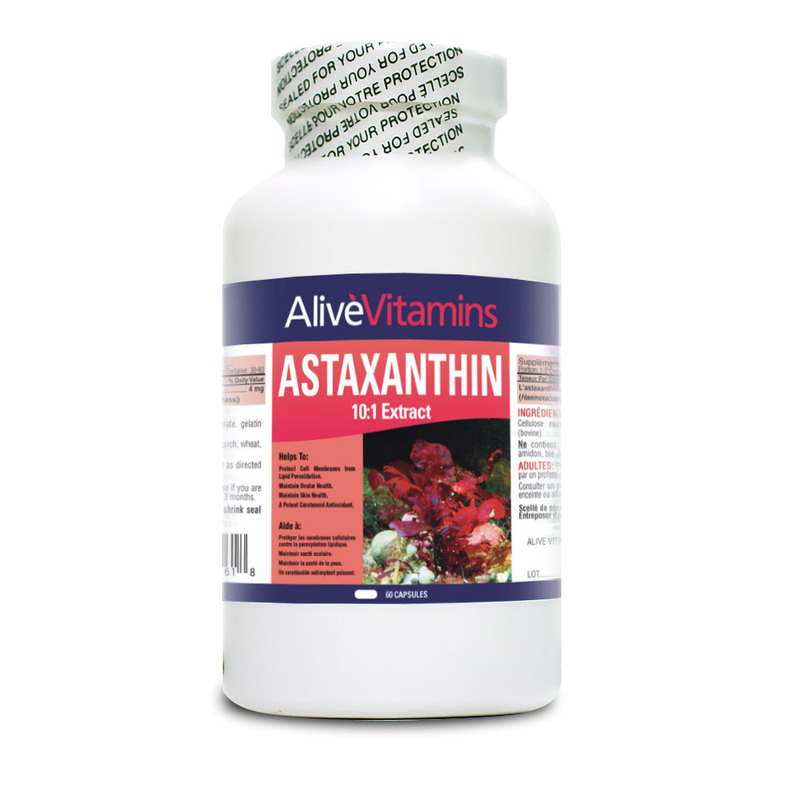 ASTAXANTHIN is a naturally occurring carotenoid with unique structure that is known to be a potent free radical scavenger. It occurs naturally in certain algae and causes the pink or red color in salmon, trout, lobster, shrimp and other seafood. Unique from many other antioxidants, astaxan­thin crosses the blood-brain barrier, where it can protect the eye, brain and central nervous system from free radical damage. Scientific studies also demonstrate that Astaxanthin can support the body’s healthy and balanced immune system responses. Astaxanthin has been used for treating Alzheimer’s disease, Parkinson’s disease, “brain attack” (stroke), high cholesterol and an eye condition called age-related macular degeneration. It has been used for preventing cancer. Alice Chung owner of Alive and chains: “This is one of my favourite additions to my supplement routine as it helps me: improve my circulation and vision, fade age spots, strengthen my immune system, prevents allergies and helps to reduce wrinkles and blemishes! As always, we hope that you will come and visit us at either Alive Health Centre, Morning Sun or Supplements Plus. Do not sit in silence; there are so many things you can do to better your health! Get excited and take charge of your health. Let’s work together, along with your doctor to ensure you are doing all you can to lead a happy and healthy life. Our team looks forward to helping you with what ever your health concerns are. If you are interested in this product you may also be interested in our New Years Resolution Flyer. On NOW until January 31st 2015. Iberogast on Dr. OZ Show Eases Nervous Stomach! Dr. Oz: Should Men and Women Take Different Vitamins?